My new project is coming along nicely and should be released early 2013. 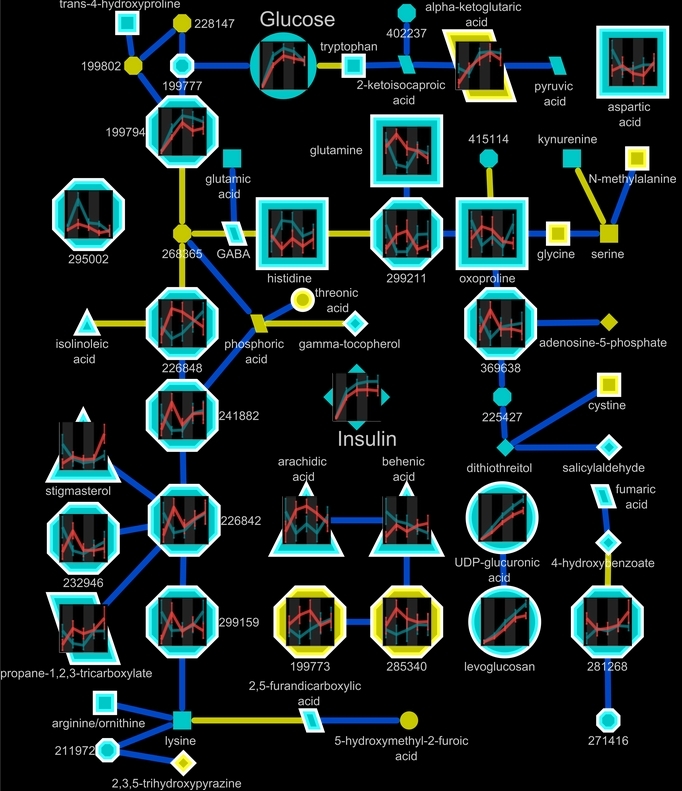 It builds on the structures developed in imDEV to link Excel, Cytoscape and R using RExcel, RCytoscape, and CytoscapeRPC . This trio can be used to rapidly generate beautiful and informative network representations of data. 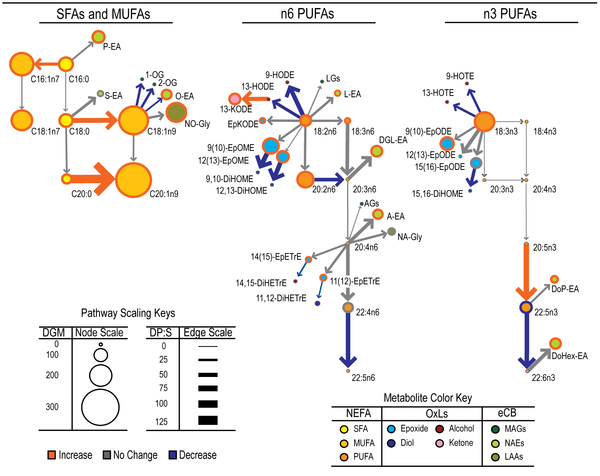 Here is an example of a undirected Gaussian graphical Markov metabolic network calculated from time course metabolomic measurements generated by gas chromatography time-of-flight mass spectrometry (GC/TOF). 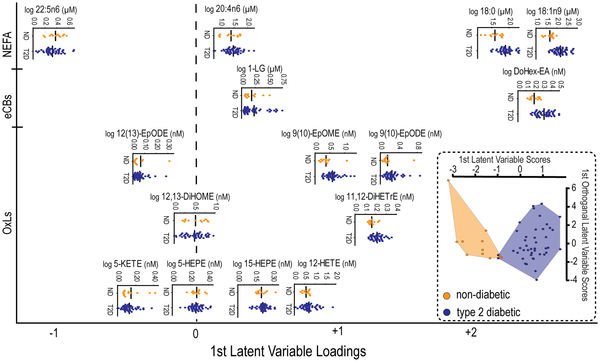 Nodes represent metabolomic variables whose characteristics encode chemometric data and the results of statistical analyses and multivariate modeling. 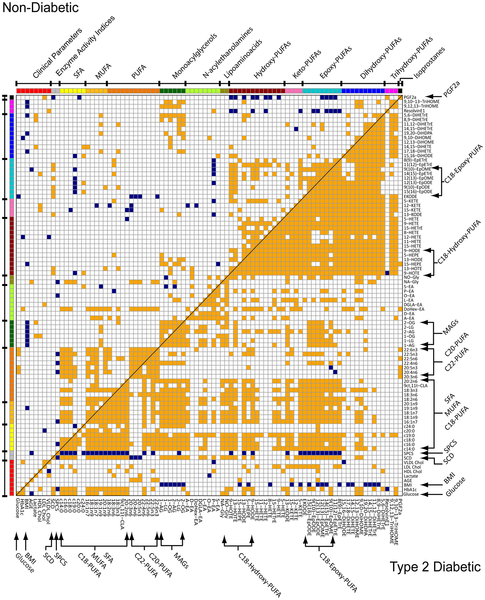 Ggplot2 is used to generate graphs of the time course data representing the means and standard error of metaboloite concentrations in two study populations. The connections between nodes or edges are calculated from q-order partial correlations using the R package qpgraph. Today marks the publication of the first article making heavy use of imDEV for all aspects of data analysis and visualization! Here are some figures from the manuscript. 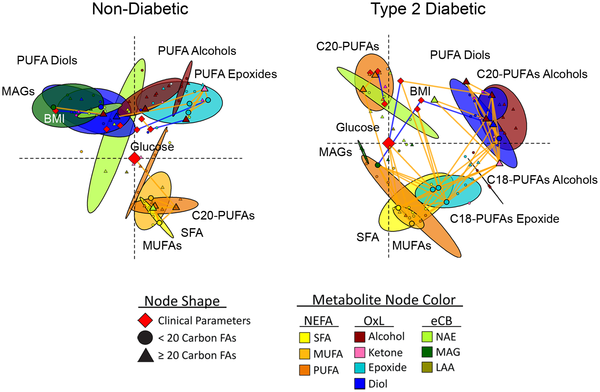 Significant (p<0.05) non-parametric Spearman’s correlations for non-diabetic (top left triangle) and type 2 diabetic (bottom right triangle) subjects are indicated by orange (positive) and blue (negative) intersections. *Keep an eye out for news about my new network graphing package, which greatly advances imGraph by providing GUIs interfacing Excel, R and Cytoscape!